New Jersey 101.5 and Carrier Cl inic present Heroin Uncut: The Truth About the Crisis a blunt, honest series of articles, videos and podcast episodes exploring just how heroin has tightened its grip on New Jersey — and what we can do about it. 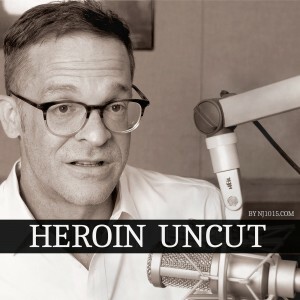 New episodes of Heroin Uncut, featuring host Jay Lassiter, are released every Monday on NJ1015.com and on the NJ 101.5 app. Subscribe to the Heroin Uncut podcast on iTunes and Google Play, or the NJ 101.5 app. Also: Follow Heroin Uncut on Facebook and On Twitter. • Heroin Uncut: Defining New Jersey’s drug problem — Our language about drugs is a jumbled mess. If we don’t understand the problem, we can’t fix it. New episodes will be released every Monday.